Mariana is Senior Consultant at GDP Global, specialising in regional development, internationalization processes, and Foreign Direct Investment (FDI). She has 10+ years’ experience in strategic consulting, with eight years in the business of economic development and investment promotion. Mariana has undertaken strategic consulting and training assignments in investment promotion for national / regional governments, plus Investment Promotion Agencies (IPAs): her international experience extends across Europe, Canada, South Africa, Latin America, Australia and China. Before joining GDP Global in 2012, Mariana was a strategic business consultant, focused on business internationalisation processes and site selection. Previously, she worked as financial advisor at PricewaterhouseCoopers. Design of strategies to attract / develop FDI. Analysis of functions and operations. Technical assistance for the identification of priority sectors / target markets. Definition of priority sectors’ unique value propositions. 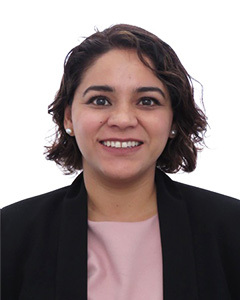 Mariana has been senior / lead consultant for projects related to formulation and support in the implementation of investor targeting programme and investment lead generation campaigns. She has also supported delivery of FDI training. Formulation of FDI promotion strategies / implementation plans. Analysis of the functions and operations / assessment of activities for the institutional strengthening of IPAs. FDI-related lead generation and negotiation. Formulation and support in the implementation of marketing plans to attract investments. Education: Master in Finance degree (Universidad de Alcalá, Alcalá de Henares, Madrid); Accounting degree (Universidad Marista de Mérida, Mérida, Yucatán).